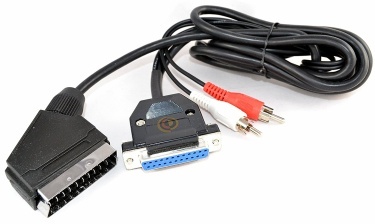 Plugs into an Amiga's 23way D Type Male RGB Display connector and Audio Phono sockets. 23way D Type Female and two Audio phono plugs to Scart connector. Price: £21.00 no VAT to pay!